Haulage is one of the most important elements of any business requiring products to be distributed to third parties or customers – so it is vital that you choose a haulage company you can trust. Here at Graylaw Freight Group, we offer specialised haulage services, ensuring that your business keeps moving and benefits from increased profitability and success. In this guide, we have set out how we can help your business thrive by establishing the key benefits of our haulage services and the positive effects it can have on your organisation. At Graylaw, we have over thirty years’ experience in the logistics industry, meaning we are now experts in haulage services. This experience can greatly benefit your business. We understand the ins and outs of haulage and can take care of everything for you. 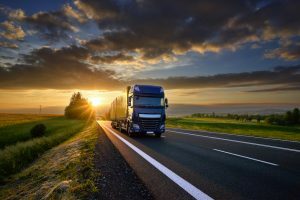 Haulage can be a costly process if you decide to do it yourself, as you must account for vehicle purchasing as well as fuel and storage facilities. A third-party haulage company is a much more cost-effective solution. We can provide you with warehouse space, traceability technology and, of course, the transportation to distribute your products. There are no additional costs to pay or any issues to deal with, which may occur if handling it yourself. 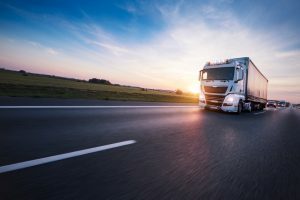 The planning and organisation of haulage can be extremely time-consuming, especially if you are a large business looking to transport large volumes of goods. This is where outsourcing comes in – not only will you save a significant amount of money, it will also relieve your business of the haulage duties that interrupt productivity. You can trust in our team here at Graylaw Freight to deal with all your haulage needs, leaving you and your employees to focus on increasing productivity to ensure your business thrives. If you require a fast and efficient haulage service that fulfils your every requirement, look no further than Graylaw Freight. As one of the premier haulage providers in the UK, we ensure that our drivers and vehicles are always prepared for the task at hand by planning out efficient routes. We also implement tracking devices in all our vehicles to ensure that consignments are delivered on time and in perfect condition. Currently, our road network spans across the UK, Scotland, Ireland, the Isle of Man, the Channel Isles and Europe, which ensures full coverage of all your distribution needs. We also offer specialised services such as temperature-controlled vehicles. For further information on our haulage services, you can request a quote. Alternatively, please contact us via email or call us on 01695 729 101.